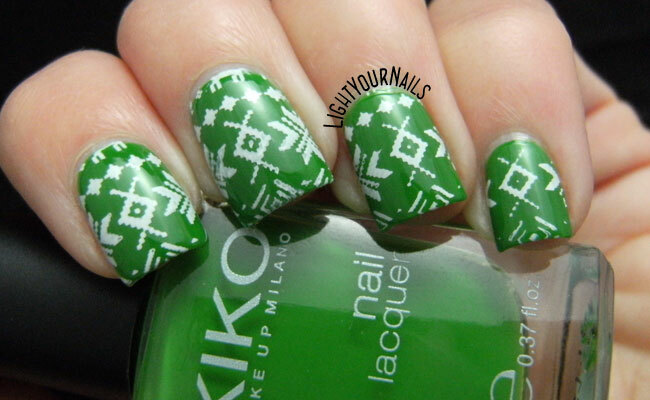 Winter nail art challenge: Ugly Sweaters | Light Your Nails! perfettamente in tema! :D adoro i colori!! That green is everything!! It's my favorite color! Love the sweater stamping too! Thank you! I really love that green Kiko, too. I think it's awesome you choose green for this! Love it! "ugly" sweaters. Hmmm, I think this is too pretty. Perfect fair isle sweater stamping. Love it! Ugly? There's nothing ugly about this mani! 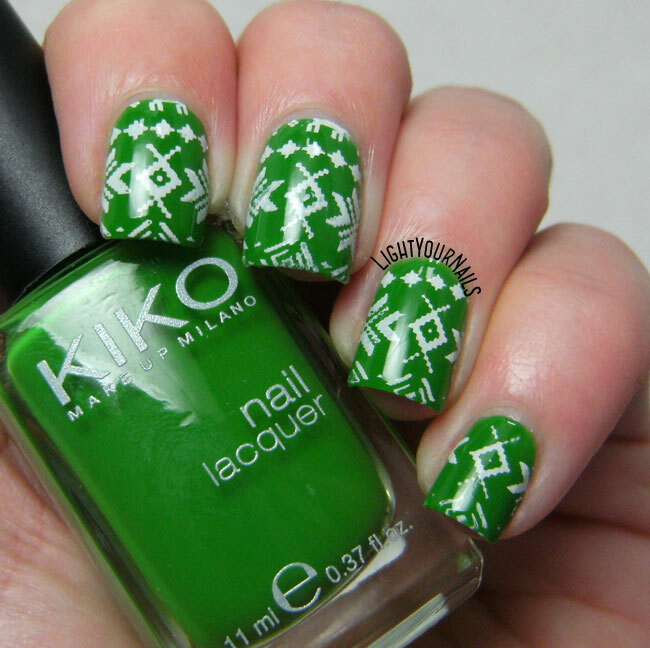 I love that green and your stamping is so crisp and clean! Thank you Ameerah! It's far from perfectly stamped but still pretty! This is beautiful, I love the color combination! 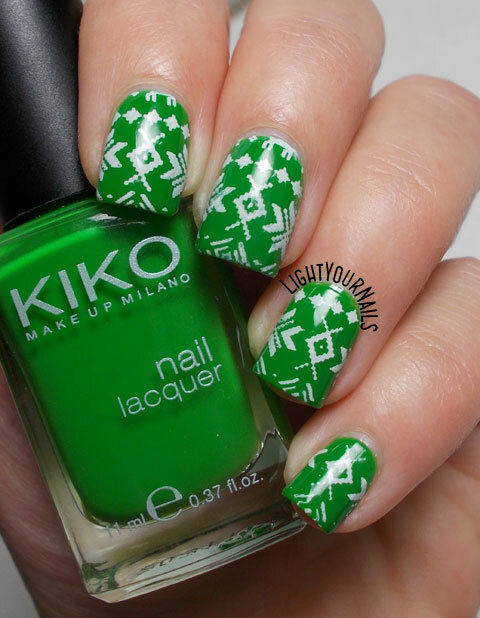 Gotta love an ugly sweater mani! Love that green! Di certo i maglioni natalizi non rientrano nelle mie corde, ma le nail art natalizie assolutamente si.